Ah, Initial D, how you have affected us all, the car freaks that is…the car freaks who have watched it I guess. Now, I don’t really know what that sign says but it’d be perfect if it did say tofu shop haha. If anyone wants to confirm this, chime in! Hit the jump for another shot. Just found this one and added it to the post. Doesn’t look like the same place but both are really good replicas. Using deductive reasoning they must both say tofu shop or something like that, I mean it’s not like I was ever able to read what was on the side of the car or store front. This entry was posted on September 27, 2011 by craze191st. 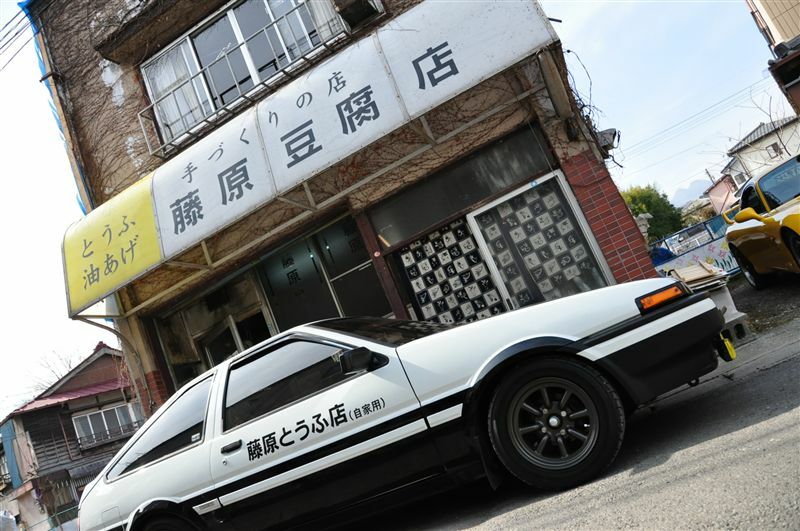 It was filed under Automotive and was tagged with AE86, Corolla, initial d, random picture, Toyota.